1 to toggle engine¨2 to toggle thrust direction¨3 for take off/slow speed flaps¨This version is nice and tame for all you newbie pilots.¨To use first eva your kerbal and board the seat in the cockpit. Press t , z , 3 follwed by spacebar twice. A stock aircraft called 1920 trainer version. Built with 68 of the finest parts, its root part is fuelTankSmallFlat. 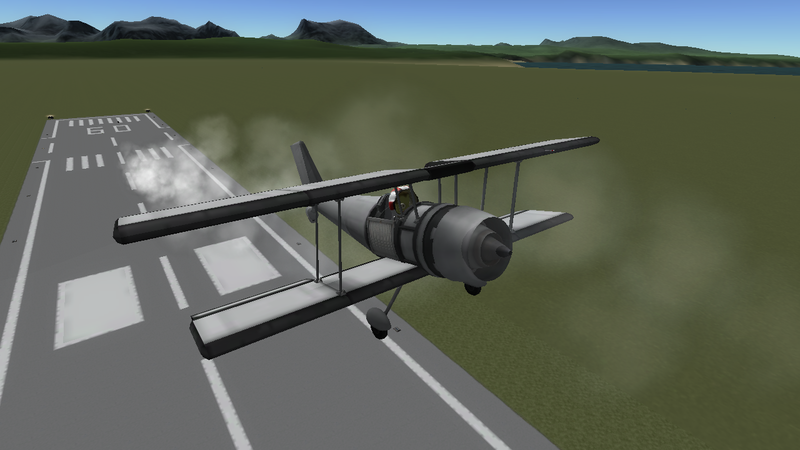 Built in the SPH in KSP version ship = 1920 trainer version.